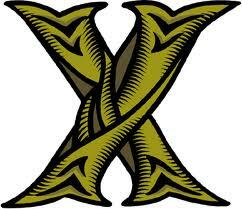 This week was going to be the letter X but that is such a hard one I will give you a choice. Now the categories are # hidden #famous # alive and # crosses in quilts. WOW I can't believe that it has been two weeks since I listed the Scatterday M categories. I know I have been busy but I am sure that there hasn't been thirteen days since I posted that info. Note today is Friday which is why I said thirteen days. So what will M bring you from my busy life? 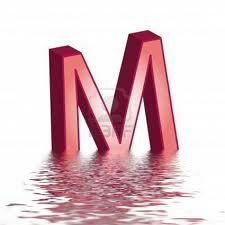 M for sport - well I have a bunged up knee and sore hip due to the healthy lifestyle of my teenage years. I was a hockey goalkeeper for many years and though I knew that sliding into the opposition wasn't really a 'nice' thing to do, it was just so cool and I could take out the player and the ball with one foul clean sweep. We all remember those first few training sessions when every muscle ached and we wondered why we were there. For those whose eyesight isn't the sharpest that is a hand holding a calf muscle not anything rude!! M for foreign - a few years ago Paul and I did a cruise around the Mediterranean and while that starts with an M it was not what I was thinking of. No the M word has to be monstrosity. 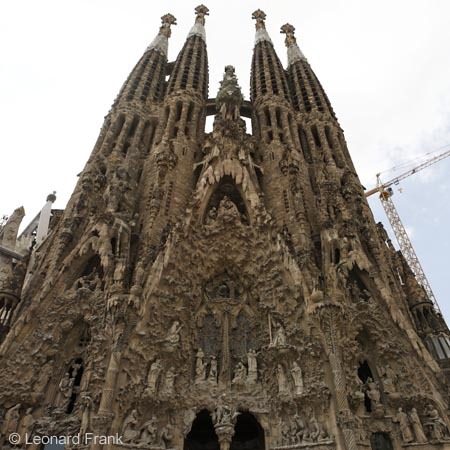 We started our cruise in Barcelona which is where the architect Gaudi comes from. If you check this link here you will see some of the buildings he designed. The word gaudy comes from his name and you can fully understand its origins if you look at any of his buildings. Architecturally I think his buildings are amazing but too way out in many aspects. Just like this monstrosity, Sagrada Familia which on the inside is magnificent but the outside does nothing for me. it is a church by the way. M for animal - when my children were young for several years we bought a yearly pass to the almost local zoo, Symbio. Apart from an angry pig all of the animals were friendly and you could hand feed them and pat them. This includes a wooly mammoth impersonator. Now I realise that many of you believe all wooly mammoths died quite a while ago but when you have a young child asking you what's this and what's that and you are stressed to the hilt anything this big and wooly has to be a wooly mammoth. In truth this is a wooly buffalo(late edit...this is a highland cow?) I think but it didn't matter at the time..... how many kids got the chance to tell about the wooly mammoth they saw on the weekend during their school news session. Fortunately my children survived and moved on to another font of wisdom. Modern Quilt - this is not my kind of category. I am seldom into the sew a few big squares together and kill it with quilting style of quilting, even my first quilt which was sew a few big squares together wasn't killed with quilting... it was too big and too bulky and I had no idea what quilting was at that time so for modern quilt I have had to steal from our dear friend google. 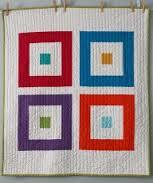 Actually the google image search came up with some nice quilt but not nice enough for me to try this style. Success another Scatterday survived and two weeks to go before the next one is due. Ze veather last Vednesday voz vet end violent ven ze village vagabonds ventured forth vid out ze necessary Romanian violet garlic vase necessary to vord off ze voracious vampires. Wrapped within ze vibrant veil zay vandered verily until zey veered into ze vehicle verging on ze village velodrome. Vair voz he now? Vy vaulting ze vertex of ze village venue of vership ov course! Zair vould uv been zay pictures if zee iPad vould ave vorked!!! Well I hope that everyone hasn't been drowning like the letter M. If you found any of the recent letters a challenge this should be an easier week as the categories suggest many everyday things..well most of the categories do. @ Sport @ Foreign (perhaps not so everyday in most houses - but my kids live overseas) @ Animal @ and a modern quilt - ouch this one is hard if we only follow the criteria that appears to be the 'Modern' quilt online. You may select what you see as modern. It doesn't have to be just unpatterned fabrics which are quilted to death. Mind you if you are skillful enough to do that plz show us... I know Linda in Florida does beautiful work in this regard.